Lee Daniels Develops New Series 'Star' For Fox, So What Can We Expect From The 'Empire' Co-Creator? 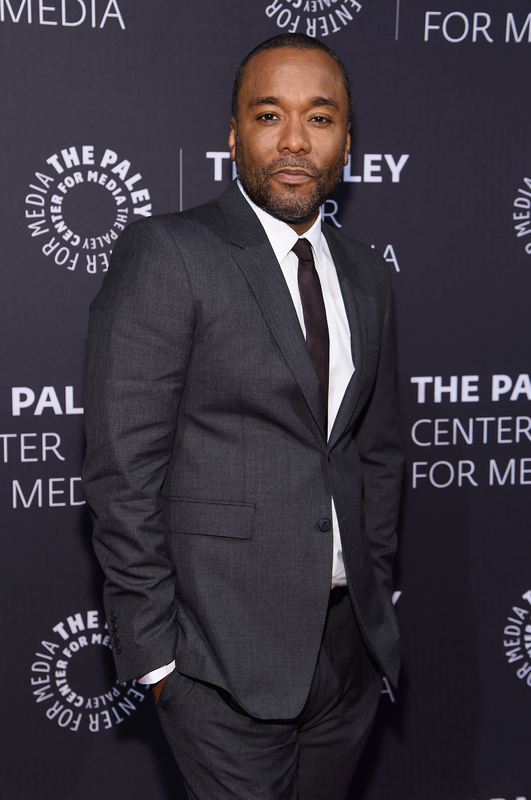 Empire co-creator Lee Daniels has been in the entertainment business for quite sometime. Daniels was the vision behind 2009's Precious and 2013's The Butler. He's also slated to direct the upcoming Richard Pryor biopic, Richard Pryor: Is It Something I Said? Still, it wasn't until Daniels co-created Fox's breakout hit Empire that he began to get the huge recognition that he so clearly deserves. Hard work obviously pays off, because Empire is just the beginning of Daniels' relationship with Fox. According to Deadline, Daniels is developing a new Fox music series entitled Star, which centers around a girl band. The show will be set in Atlanta, Georgia and will follow the group's three members. If this is like a new version of Destiny's Child, then I am all here for it. Daniels is wonderful at creating powerful female characters, so I can only imagine what an entire group of them is going to look like. If the history of the music business tells us anything, it's that it is extremely difficult for groups to sustain themselves over a long period of time. There are some groups who have separated and come together again, but solo careers, families, and other opportunities inevitably get in the way. This means that there is definitely going to be a lot of drama on Star. Even more exciting is the fact that Star and Empire may intersect one another. At the Television Critics Association's press tour Fox’s Co-Chairmen and CEO Dana Walden stated, "It is modern-day music music in Atlanta and Empire is modern day music business in New York. It’s not inconceivable that the two shows can cross.” This is almost too good to be true, but, until we know more about the series, here are some things we might see when Star finally comes to the small screen. Daniels is known to have tight relationships with his actors, and he uses them in multiple projects. His work with Gabourey Sidibe, who first starred in Precious and is now on Empire, is an testament to that. Because of this, I would guess that we haven't seen the last of Serayah McNeill, who played Tiana on Empire. She would be perfect in Star. When discussing Star, Fox's Co-Chairman and CEO Gary Newman said, "One of [the] characters is rising out of poverty, and there is a a lot from Lee’s own life that’s baked into the DNA of this project.” This is especially incredible because one of the most heartbreaking scenes on Empire from this past season was when Lucious dumped his middle child Jamal in the trash can. Daniels has been open about saying that this was something that he experienced with his own father who was extremely homophobic. Though this was an awful scene to witness, it was moving in part because it was based on something that had actually occurred. If Star has scenes like this, it's going to be outstanding. We can just look at incredible girl groups like the Spice Girls and Destiny's Child to see how pivotal clothing is when creating a group's look. If Empire's costume designer has anything to do with Star, we are in for a real treat. Executives at Fox have already hinted that a crossover between Empire and Star is a definite possibility. Still, the way in which the characters might cross one another's paths is going to be what's most interesting. I certainly hope that none of the ladies in the band get on Cookie's bad side. Empire is stuffed to the brim with amazing guest stars for this upcoming season. Daniels verbally announced that Mariah Carey will be appearing on the show this season, though no deal has actually been finalized yet, and musical star Pitbull will also be joining Season 2. With everyone eager to guest star on Empire, I'm certain there will be the same sort of interest for Star. Basically, this means I'm just closer to my dream of seeing Beyoncé in Daniels' universe. I'm certain that more details about Star will surface in the coming months. I can't wait to see who will be in the cast.